The overland was first released in the year 2009; it was introduced by an American game designer Adam Saltsman. His first overland version canabalt had attracted the audience worldwide. This game has three different versions including canabalt, indecandie and finji; its next expected version is finji updated module. This game is built with the extraordinary game console which moves the game faster and keeps the player entertained. The game is filled with many twists and turns where the player has to be ready to escape from the monsters. The gaming sequences include gathering gas and fixing the car for the player survival. The finji desktop version is expected to release in coming year, and there is no specific date for the release of its mobile version. Dominion is a best entertaining game for the people of all ages; it is a card based game which was first released in the year 2012 by a game designer called Donald X. Its first release was named as Vaccarino and it is owned by lots of gamers worldwide. Now, the new version dominion is waiting for the perfect release date. It is built by HTML 5 and supports all major platforms; the game has lots of extra features and gaming sequences when compared with its older versions. The game is first going to be launched in all Smartphones and tablets and later the game will be released for smaller mobile phones. The journey down has got two chapters its new version chapter2 has got many good reviews from a wide range of audience. This game is pretty different when compared with normal video games because its afro-Caribbean styling and first class game play will win the hearts of millions. The next and most anticipating release of a journey down is chapter3, it is a continuation of previous series and has many point and play adventures. The chapter 3 is expected to be released next year so the gamers can be ready to experiment the most interesting game in the world. The downwell game was developed by a Japanese developer ojirio fumoto and it was launched by the devolver digital group. It is a vertical shooter game which involves a game sequence of a boy falling down into a well with guns in his boots to escape from the obstacles and enemies. The game is filled with lots of adventures and tactics which will purely entertain the audience for its unique gaming experience. The most interesting version of downwell is expected to be released this year and it is set to launch in both android and iOS mobile phones. The loot and legends is the next version of card hunter game which was first introduced in 2013, this game had made many of us get addicted towards desktop games. Now the same card hunter game with extra developer effort has been renamed as loot and legends and it is releasing again for the Smartphones and tablet users. The game is now available at Canadian app store, but the worldwide release has not been declared yet. The dawn of titans is a most expected war game which is highly compared with ninja and other fighting games. This game enables the players to create battles of different units and allows them to fight against the enemies in real time. 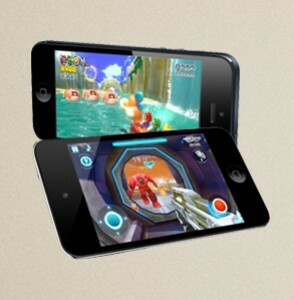 Just in fingertips, the gamers can control their enemies and avoid obstacles. The game provides real reactions in every finger touch and keeps the player completely entertaining. The dawn of titans soft launch is expected to be released this year but its real version is planned for next year release. Still many more mobile games like hunter2, cloud chasers, clash of clans, mine craft and etc are about to be released in forthcoming days. So the mobile gamers can count their days to experiment their favorite game versions.